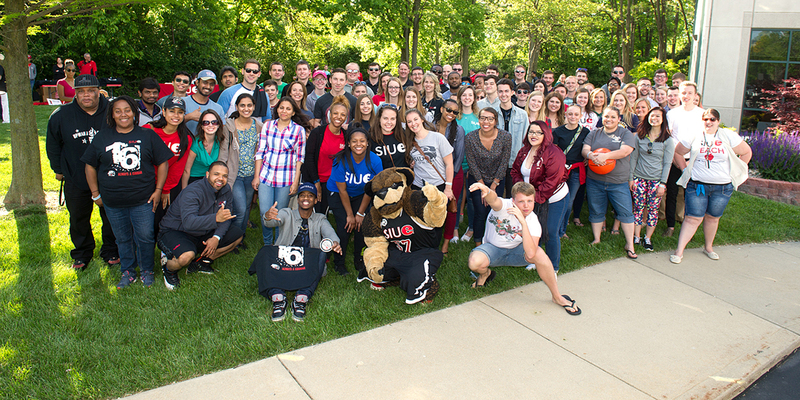 Thank you for your interest in the SIUE Alumni Recruitment Ambassador program. We will contact you soon! College Fairs: You could attend college fairs held at the high schools in your immediate area and visit with students about SIUE, the admissions process, majors and campus activities. Receptions: Admitted student and prospective student receptions hosted by SIUE alumni are a great opportunity for students and families to interact with SIUE alumni and staff. Communication: We would love your help with prospective student communication in the form of postcards, emails, newsletters and/or letters to local high school counselors. We will follow up with you in the next few weeks concerning your availability. Kelley Brooks, Assistant Director of Admissions for Campus Visits and Outreach will follow up with you in the next 1-2 weeks concerning recruitment opportunities for Fall 2017. On behalf of the Office of Admissions and Alumni Association, thank you for your time!